These days, for every business its website has become one of the most valuable assets as it has a wider reach and visibility to customers and facilitates marketing to a great extent with ease. The content management system (CMS) used by a website plays a crucial role in its success and thereby the success of the business. Hence, it is suggested by IT consulting firms that websites should choose CMS solutions that can drive brand awareness, brand engagement, and revenue for the business. 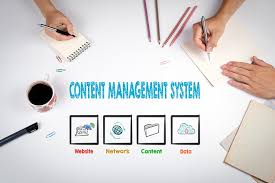 Here are some of the significant factors that should be considered while selecting a content management system. 1.Easy to use: Content management system is used by the back-end users or administrators to update the website. IT consultants say, the CMS should be easy to use for these administrators. Ease of use plays a vital role in a content management system that helps to update and maintain the content of a website. A CMS should make it easy to share content across various channels also. 2.Functionality: The experts at the top IT consulting firms say that it is not enough if a content management system is easy to use. They say a CMS should have great features with excellent functionality to make a website successful. The features of the CMS should be such that they don’t need further plugins from a third party. 3.Flexibility: The flexibility of a CMS platform is also a critical factor in determining which platform is being chosen. It should be verified if it operates on one specific operating system or is compatible with various environments. IT consultants recommend choosing a neutral CMS platform to avoid the limitations in hosting options when a CMS platform that runs only on one OS is selected. 4.Speed: One has to confirm how quickly a CMS could be installed and configured to launch a website before choosing a CMS. Also, the speed with which a page loads and the CMS renders content should also be considered. 5.Multiple sites: With the growing business needs and changing trends, it has become common that a business or organization owns and manages multiple websites. To avoid being inefficient and creating differences in brand image, it is better to choose a single platform to manage multiple websites. IT support professionals suggest this because it results in optimum utilization of available hardware resources and lesser hosting fees. 6.API: Good API connectivity helps in third-party integration which is becoming essential to streamline operations, automate workflows so as to provide an awesome digital experience for the website users. 7.Support: It should be ensured that the CMS platform that is chosen for a website has robust IT support at all times providing support and security for the website functioning. The CMS platform should provide excellent security to safeguard the website from hackers. Choosing a wrong CMS for your website costs you a lot in terms of both money and time. A wrong choice may leave you to depend on others to update the site regularly and this definitely adds-up to the security threat. Get in touch with our experts at Accuprosys for top-notch IT support in setting up and maintaining a content management system for your website.